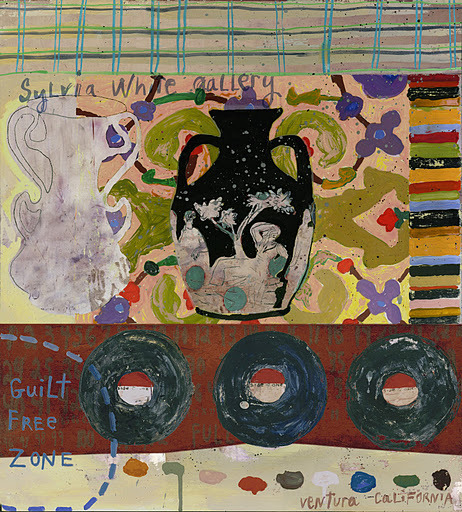 Two of Magnolia's most prolific artists will show at the same gallery at the end of this month: Squeak Carnwath and Donald Farnsworth each have a show at Sylvia White Gallery in Ventura, CA. 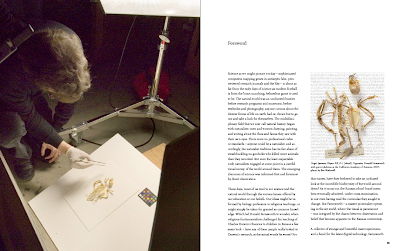 There will be an opening reception Saturday, October 29, from 3-5 pm, at which both artists will be present and Carnwath will sign copies of her exhibition catalog. 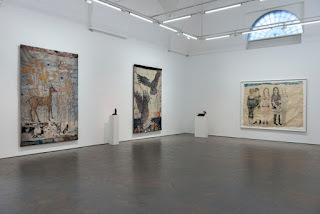 In the main gallery, Carnwath's "Painting is No Ordinary Object" features new paintings as well as tapestries and mixed-media multiples published by Magnolia Editions; click here for a sneak peek of the entire show. 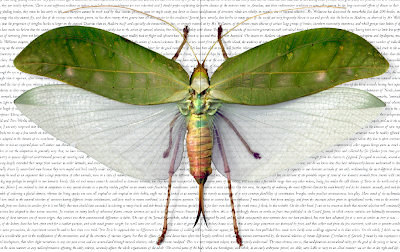 In the north gallery, the entire suite of Farnsworth's "Origin: Specimens" will be exhibited; each print in the series combines a chapter from Charles Darwin's seminal On the Origin of Species with a digitally imaged, hyper-realistic rendering of an animal, bird, or insect specimen. Both shows will run from October 26 - December 3, 2011. The Sylvia White Gallery is located at 1783 E Main St in Ventura and open to the public Wednesday - Saturday from 11 - 5. For more information, please call (805) 643-8300.